DEMO International 2020—the “all live and in action, in-woods” equipment show—is officially set for the Ottawa/Gatineau area Sept 24-26, 2020. In other news: BC seeks input to update its wildlife management strategy; some old growth defies urbanization in the US; China log and lumber imports are up three-fold in 10 years; and New Zealand log exports just hit record levels. Elsewhere: Huron Central Railway threatens to drop its service in northeastern Ontario; US Senators are urging support for the Timber Innovation Act; and Toronto’s iconic skyline gets a wooden makeover. Here’s why? Finally, a Montana wildlife worker who recently landed her dream job researching grizzly bears is recovering from a bear attack. A three-vehicle collision on Highway 16 near Vanderhoof on Friday evening claimed the life of noted community advocate June Clark. Her husband, Bob, was transported to Vancouver General Hospital with serious injuries. Nechako-Lakes MLA John Rustad confirmed the news Tuesday. “It’s very tragic,” he said. …”There wasn’t much in the community that they weren’t involved in in one way or another and of course they were very involved in politics as well at various levels,” Rustad said. …A noted volunteer, June was actively involved her church, as well as with Ducks Unlimited and had sat on several boards including the Vanderhoof chamber of commerce, University Resources Inc., the Innovation Resource Centre, Nechako-Kitamaat Development Fund Society and the Good Neighbors Committee. …Bob Clark is perhaps known as B.C.’s “beetle boss,” … to oversee the effort to contain the mountain pine beetle. Sault Ste. Marie MP Terry Sheehan said there’s still time to save a northeastern Ontario short-line railroad that’s threatening to pull service by year’s end. Genesee & Wyoming Canada, the parent company of the Huron Central Railway, announced May 22 that it intends to discontinue operations on the 283-kilometre line between Sault Ste. Marie and Sudbury. The railway, again in financial crisis mode, blames Queen’s Park and Ottawa for not coming through with subsidies for ongoing track maintenance. …The critically important rail line services three major industrial shippers in the northeast, specifically Essar Steel Algoma in the Sault, the Domtar paper mill in Espanola, and the EACOM sawmill in Nairn Centre. Despite challenges facing the wood products industry in Oregon, Grady Mulbery remains optimistic for the future. 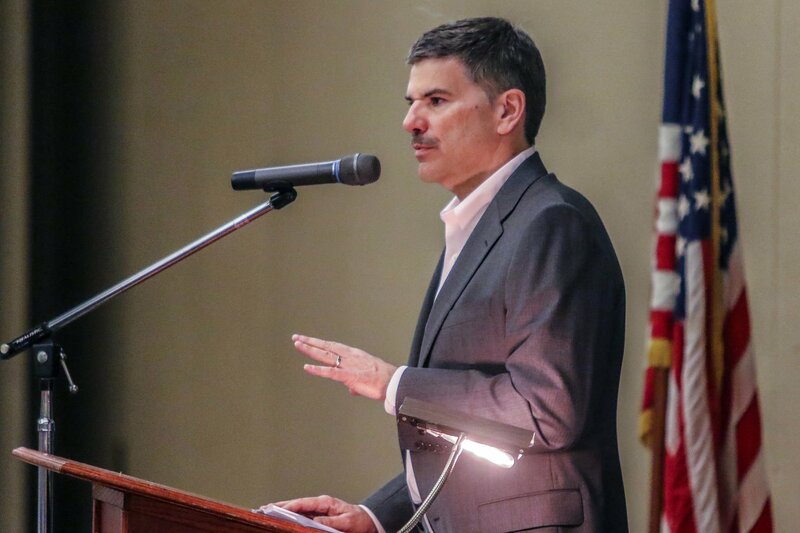 The president and CEO of Roseburg Forest Products made the comments during the Roseburg Area Chamber of Commerce membership meeting. …Mulbery told the audience it’s good news that the timber industry is building itself back up slowly after the 2008 recession, which he called “the depression of the building materials industry.” …RFP is in the process of building a new engineered wood products plant in Chester, South Carolina, which Mulbery said will incorporate automated technology. It also recently acquired a medium density fiberboard and molding production facilities in northeastern Ontario, Canada. …Mulbery said the price of raw materials in Oregon is extremely high, which is positive for timber operators but adds challenges for wood products manufacturers. Attracting skilled workers is also a challenge facing the industry. 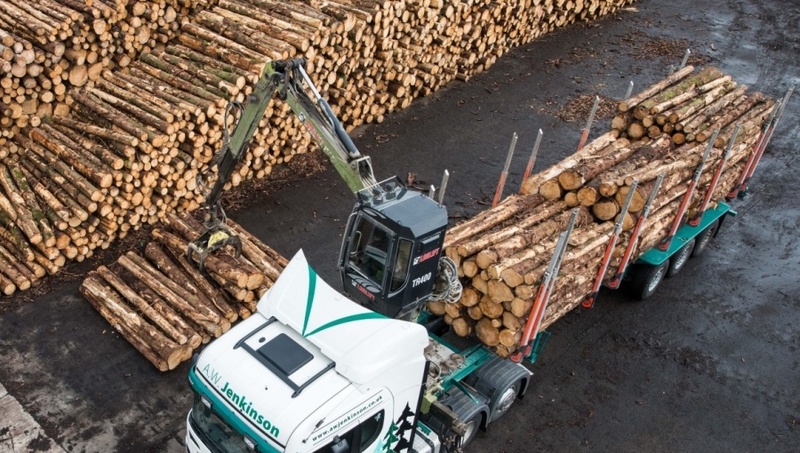 BSW Timber announced its latest investment of €40m in Slovenia, constructing a new sawmill, CHP plant and pellet manufacturing facility which will see the creation of 170 new jobs… The new sawmill will have the capacity to process an annual input in excess of 300,000m3 of sawlogs, making it the largest mill in Slovenia. However, BSW’s plans face strong opposition from local sawmill operators who fear the arrival of the Scottish company in the northern Slovenian village Gomilsko will bring an end to the businesses of many small companies in this sector. BSW Timber’s investment will see construction on three sites, including a modern sawmill in Gomilsko with state-of-the-art wood processing technology, the development of pellet production and wood biomass cogeneration at the Sostanj site, and a final site in Letus will focus on the production of value added products, the company announced. With limited domestic forest resources, China continues to be a major importer of forest products in order to meet its growing domestic demand for logs, lumber, chips, pulp and paper. In 2017, import volumes of both softwood logs and softwood lumber reached all-time highs despite a slowing activities in the house construction sector. Over the past ten years, the total importation of softwood logs and softwood lumber has gone up 3.5 times in roundwood equivalents (RWE), according to the Wood Resource Quarterly. Over the past two years, importation of lumber has grown much faster than has importation of logs, with lumber import volumes in 2017 surpassing log import volumes by 36% (in RWE). This is a shift from the past, when there were substantially more shipments of logs than lumber entering Chinese ports. 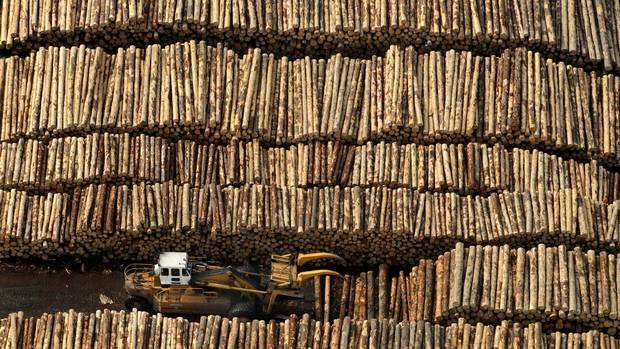 Today, China is the world’s largest importer of logs and the second largest importer of lumber after the US. New Zealand exported a record volume of softwood logs in March, as shipments to most major markets increased, with further strength forecast through the rest of the year, according to AgriHQ, NZX’s agricultural analysis business. 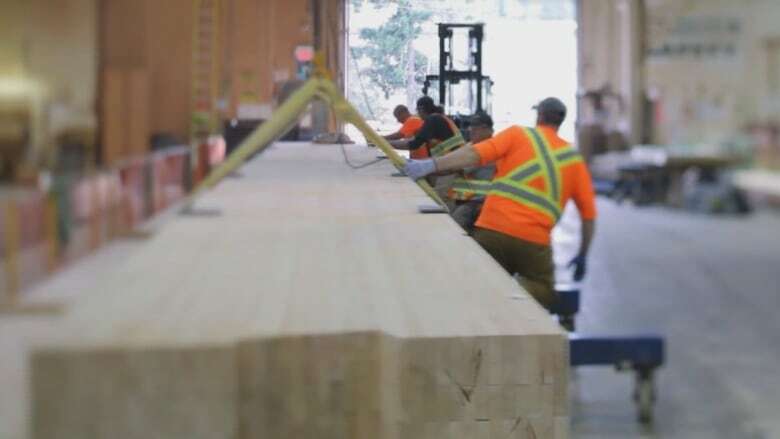 The country shipped a record 1.975 million cubic metres of softwood logs overseas in March, up 22 per cent from both the February level and from March last year. …Forest products are New Zealand’s third-largest commodity export group behind dairy and meat products. Trade data for April is due out tomorrow. All major destinations for New Zealand logs were up in March, except Japan due to timing issues, although Indian shipments had been volatile as regulators clamp down on the Indian banking system and South Korea was subdued due to a sluggish economy, the report said. The University of Toronto is joining the global trend of using wood to construct buildings and towers, and recently announced plans for a 14-storey wooden hybrid tower made of timber and concrete to be constructed at the downtown campus near Bloor Street, and is scheduled to begin construction in 2019 and completed as early as 2022. …Wood buildings offer more than a beautiful appearance – spending time in sustainable buildings can increase cognitive function and promote better sleep at night due to high air quality and sunlight exposure, according to the World Green Building Council. Developers in P.E.I. are being encouraged to build the core of their developments out of wood products instead of concrete or steel. It’s called mass timber design, and it’s increasing in popularity in Canada. Mass timber is dimension or composite lumber — small pieces of wood glued together to increase its performance. “Wood can be used in buildings where wood could not be used before,” said Patrick Crabbe, project coordinator with Atlantic WoodWORKS! — a program of the Maritime Lumber Bureau. It aims to get more builders using wood in large projects like multi-residential and non-residential units. …Crabbe’s group is offering a workshop May 30 in Charlottetown to Island architects and developers, highlighting the benefits of building with mass timber. WASHINGTON, D.C. – Oregon’s U.S. 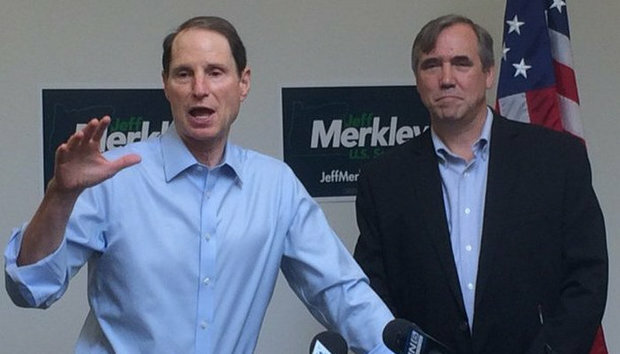 Senators Jeff Merkley and Ron Wyden today submitted a bipartisan letter urging the Committee on Agriculture, Nutrition and Forestry to include the Timber Innovation Act, which supports the development of mass timber products for building construction, in the next Farm Bill. “We have been working to establish Oregon as a hub for mass timber products, using local timber and bolstering our forest products economy,” Merkley said. “This bill supports innovative manufacturing that creates jobs in the rural part of the state and encourages more sustainable tall wood building construction in urban parts of the state.” …The Timber Innovation Act establishes a new research and development program through the U.S. Department of Agriculture. The Board of Directors of the Canadian Woodlands Forum… officially announce that its flagship event, DEMO International, will be held outside the Ottawa/Gatineau area, Canada, on September 24-26, 2020. SBC Cedar with sawmills in Quebec and New Brunswick will host the event on one of their properties in Venosta, Que., located within a forty-five minute drive north along the Gatineau River. This world class event, occurring only every four years, will mark the 14th edition of DEMO International. During the course of its 50 year history, DEMO International has evolved into one of North America’s largest and unique outdoor equipment shows. The “all live and in action, in-woods” equipment show will attract over 150 exhibitors featuring the latest technologies in equipment, products and services covering all aspects of woodlands operations. This past weekend marked the beginning of the busy summer season in British Columbia’s parks as hikers, campers and social media influencers streamed out of urban centres, bound for popular outdoor destinations. But across the province, parks have been feeling the strain of increased use: social media is attracting record attendance at scenic locations like Joffre Lakes, that saw more than 170,000 visitors last year alone, and B.C. Parks has struggled to keep up with demand. Recent efforts to limit wear and tear on the province’s wild places have included restricting access by dog owners, but the provincial government has been quiet about a long-term plan to address booming demand for wilderness. A quick look at B.C. Parks’ annual reports suggests the problem may not be with dog owners, but with economics. The Village of Burns Lake, local First Nations and community groups have reaped benefits worth hundreds of thousands of dollars from the Burns Lake Community Forest (BLComfor) during the past year, according to the organization’s newly released annual report. The report, which details BLComfor’s activities and finances for the October 2016-November 2017 fiscal year, was released on May 17 at the company’s annual general meeting. The report shows that BLComfor’s First Nation partners, Burns Lake Band and Wet’suwet’en First Nation, each received about $412,000, as did the company’s sole shareholder, the Village of Burns Lake. That accounts for about 70 percent of net profits that reached $1,774,863, with the other 30 percent going towards operating costs. “We had a fairly good year,” said BLComfor general manager Frank Varga. A movement is gaining momentum among Grand Forks youth to protect and preserve the Vienna Woods pine forest. Joanie Koch-Kalanj, a long-time school teacher in Burnaby and BC’s Interior, is taking an active role to help the students’ voices be heard. I went to the Grand Forks City Council meeting on May 9th and read out a number of questions that students had written in regard to protecting Vienna Woods and our forests. …Vienna Woods is situated just south of downtown Grand Forks with a unique ecosystem that is home to a variety of raptors, birds and other wildlife. A portion of it is in danger of being sold off by the City for commercial interests. The Government of British Columbia is starting a discussion on improving wildlife management and habitat conservation, Doug Donaldson, Minister of Forests, Lands, Natural Resource Operations and Rural Development, has announced. “The diversity of wildlife in British Columbia is one of our province’s greatest treasures,” said Donaldson. “Working with Indigenous peoples, wildlife stakeholders and the public, we want to build a strategy that more effectively manages our wildlife for future generations. We’ve dedicated $14 million over three years to do so.” …As part of the government’s commitment to implementing the United Nations Declaration on the Rights of Indigenous Peoples, collaboration with Indigenous peoples is an integral part of developing a new provincial wildlife strategy. The Pas, Manitoba – A public advisory committee working with Canadian Kraft Paper Industries Ltd. on sustainable forest management in north central Manitoba for over two decades, has been recognized with the Program for the Endorsement of Forest Certification (PEFC) Canada Stewardship Award for their leadership and personal commitment. “The Canadian Kraft Paper Forest Management License Area 2 sustainable forest management (SFM) committee is one of many dedicated multi-stakeholder public groups in forest communities across Canada that provide advice on locally adapted measures of good forest management. There are many demands placed on public forests that influence how they are managed. These advisory groups help balance these forest values within the context of the Canadian Standards Association (CSA) sustainable forest certification standard” said John Dunford, Chair of the group representing the forest companies certified to CSA in Canada. 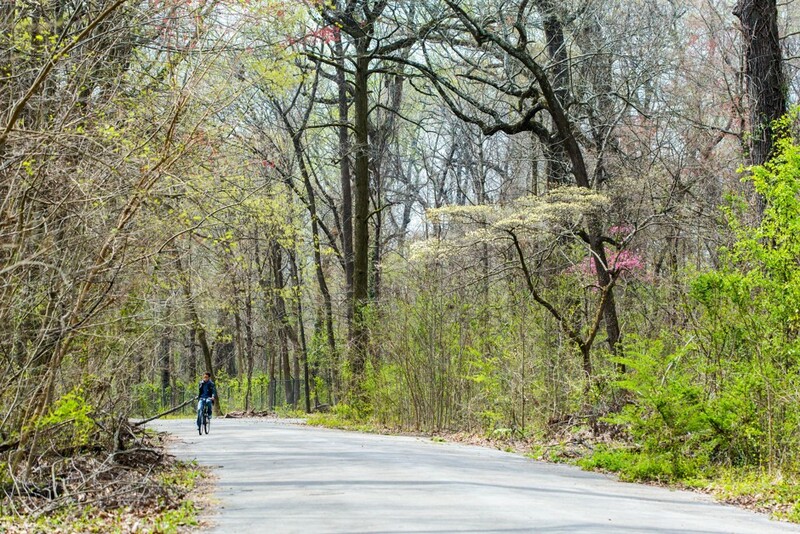 In cities around the United States, old-growth forests have survived against the odds. But preserving them is not as simple as roping them off from the public. …It’s hard to estimate how much old-growth forest remains in the United States. Back in 1991, as reported by Scientific American, both the U.S. Forest Service and the nonprofit Wilderness Society created old-growth inventories of the Pacific Northwest and Northern California, and they came up with different numbers. The Forest Service estimated 4.3 million acres; the Wilderness Society just 2 million. Meanwhile, old-growth forest survives in unexpected ways—and places. …Urban old-growth forests are small fragments of a vanished landscape, revealing how dramatically the environment of the United States has changed over hundreds and thousands of years. Dave Culkin didn’t intend the mixed metaphor when he warned a sea change was coming to the way we approach wildfire. But the Rocky Mountain Research Station supervisory research forester did want his audience to brace for some rough travel as forest fires get bigger and harder to fight. As leadoff speaker at the Fire Continuum Conference’s international gathering in Missoula, Culkin said wildfire management must evolve along with the flames it confronts. That’s especially true of the unstoppable fires that burned thousands of homes and killed hundreds of people in 2017 despite the best disaster-control efforts of firefighters. …Fire science research has provided many new ways to measure wildfire activity, landscape and weather conditions and what results came from a day’s suppression activity. Culkin said those data need to get woven into the decision-making process so firefighting becomes more accountable for the resources it uses. 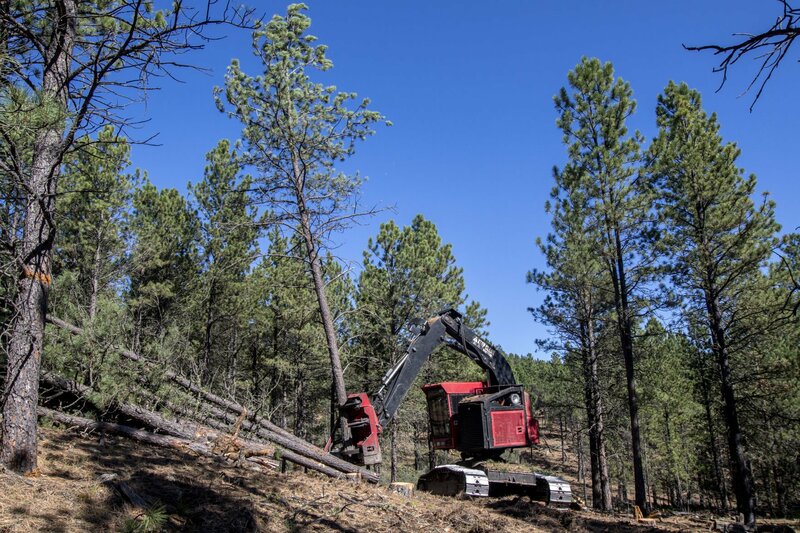 A nonprofit group that supports the sustainable use of the Black Hills alleged Tuesday in an 11th-hour news release that a pending project plan for the Black Hills National Forest would be ecologically catastrophic. The news release from the Norbeck Society was headlined, “New Proposal Kills Timber Industry by Logging Black Hills to Death.” A timber industry representative reacted by calling the claims “absolutely not” true. A Black Hills National Forest spokesman said only that the agency is attempting to work through objections to the project from the Norbeck Society and other objectors. …Black Hills National Forest officials have said the project aims to make the forest more resilient to mountain pine beetles and wildfires through a variety of forest-wide actions including the reduction of natural fuel for wildfires, prescribed burning, enhancement of hardwoods and grasslands, logging and noncommercial forest thinning. BILLINGS, Mont. — A government wildlife worker who recently landed her dream job researching grizzly bears in a Montana mountain range is recovering from a bear attack that left her with a fractured skull and other serious injuries. U.S. Fish and Wildlife Service seasonal field assistant Amber Kornak was attacked on May 17 while working alone near a stream in the Cabinet Mountains, agency spokeswoman Jennifer Strickland said. While being mauled, the 28-year-old Kornak managed to reach a canister of Mace-like bear spray and ended the attack, inadvertently spraying herself in the process. She then walked to her work vehicle and drove to find help, according to Strickland. …There is no formal rule about government workers travelling alone in bear country, Strickland said. But experts say traveling in groups of three or more dramatically decreases the chance of an attack. 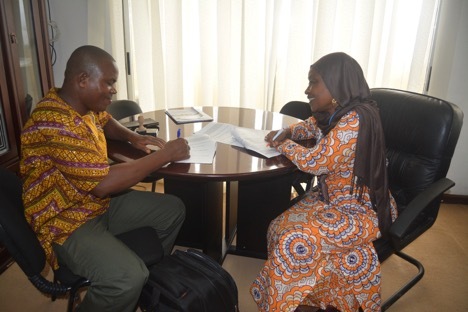 Monrovia – United Nations Food and Agriculture Organization (FAO) has signed a US$80,000 agreement with the National Union of Community Forestry Development Committees (NUCFDC) to strengthen the capacity of communities to effectively monitor the benefits of commercial logging in Liberia. The agreement falls under the framework of the Forest Law Enforcement, Governance and Trade Voluntary Partnership Agreement (VPA), signed by the Government of Liberia and the European Union (EU) in 2009. The VPA is a legally binding bilateral trade agreement between the European Union and timber-producing countries outside the EU, such as Liberia. It is also meant to ensure that timber and timber products exported to the EU come from legal sources and calls for a halt to illegal logging by timber-exporting countries by improving regulations and governance of the forest sector. DRYDEN, Ont. — The Ministry of Natural Resources and Forestry is looking into the circumstances surrounding the cause of several fires related to human activity. Three human-caused fires that occurred during the current Restricted Fire Zone order in northwestern Ontario are under investigation. …The fire hazard across the northwest region is high. …Violations of the fire ban can result in fines up to $25,000 and three months in jail, as well as the financial responsibility for the cost of fighting a forest fire. A cellphone app is partially responsible for the rescue of a Saskatchewan couple that was pushed down the edge of a B.C. 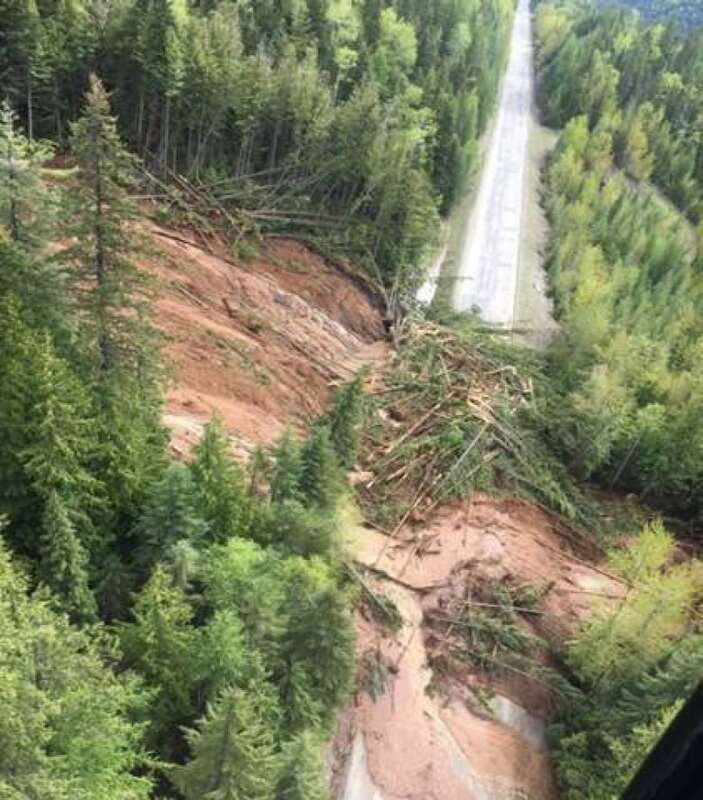 mountain during a mudslide Thursday. And it’s not the first time it has saved lives in Western Canada. …It’s the second time in the past year that the Safety Link app, used by Crescent Point Energy—where Niemegeers is employed—alerted emergency services about people in need. …Twila said apps like Safety Link should be used more widely. “It definitely was one of the many tools that played a factor in getting them the help that they needed.” David Gowland, a manager at Crescent Point Energy, said Safety Link provides remote monitoring of all field staff in Saskatchewan. …The app features an SOS button, which can be utilized in a lesser emergency, like a flat tire. The app’s emergency button mobilizes first responders. That’s the button Niemegeers pushed on Thursday.